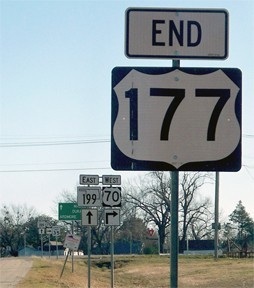 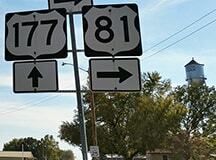 Today US 77 continues straight ahead: north from Three Sands to Tonkawa, then due east with US 60 to Ponca City. 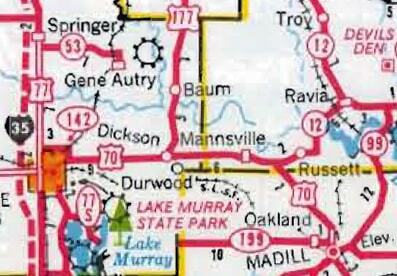 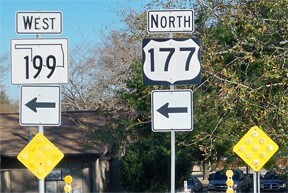 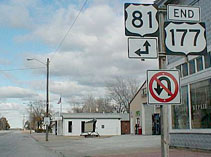 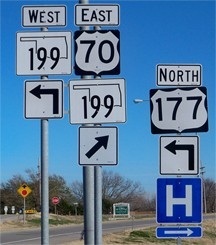 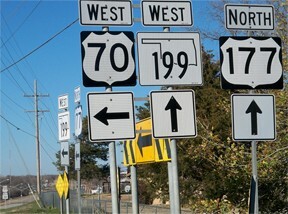 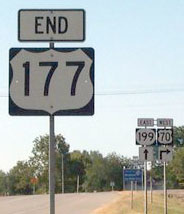 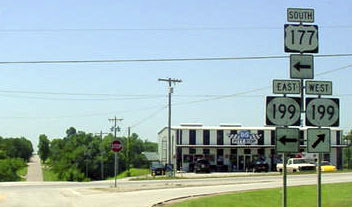 But until about 1967, US 77 instead went east (to the right) on what is now OK 156 to get to Ponca. 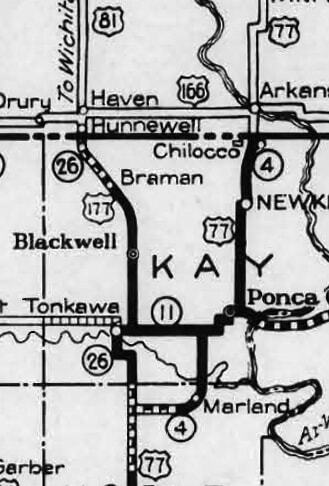 Back then, if a traveler stayed straight (in order to continue north to Tonkawa), they were on the south beginning of US 177.
last updated Nov. 14, 2018.